When Rapunzel is banished to a tall tower in the middle of the woods, escape seems impossible. Can she use her long locks to escape from her evil stepmother and find her prince? 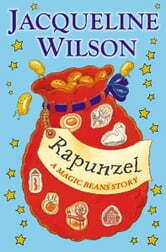 Amazing story loved all of the speech 5 star rating for this book well done Jacqueline Wilson good. This was a very nice book even my friends enjoyed it they said that it was marvloes and i said the same. I really liked this book because its trying to say that you shuld never give up. for that i give it a 5. It had one swer word wich I woludent expect from Jacqueline.The rest I enjoyed and liked all the discrison.I think it was very good.